Dr. Parker Mitchell is originally from Omaha, Nebraska where he was raised as the oldest of three children. He went on to study at the University of Tampa receiving degrees in Biology & Physics. Dr. Mitchell then Western University of Health Sciences where he received his Doctorate of Dental Medicine. He continues his education by participating in two study clubs and is a member of the American Dental Association, Arizona Dental Association, Central Arizona Dental Society, and Academy of General Dentistry. Dr. Mitchell is an avid outdoorsman enjoying everything Arizona has to offer. Time spent with his family and friends boating, off roading, snowboarding, and traveling are what he enjoys most. 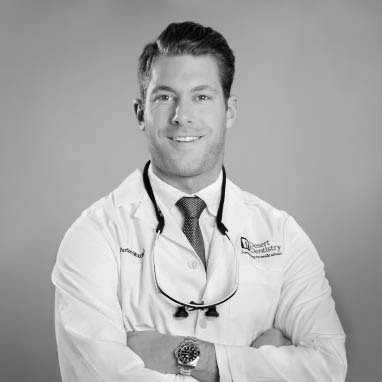 His goals include providing his patients with the best possible dental care by keeping their needs of upmost importance, serving as a mentor to aspiring medical professionals, and staying educated on the most modern research and equipment.